Stay informed of the environmental conditions effecting the places and things you care about. 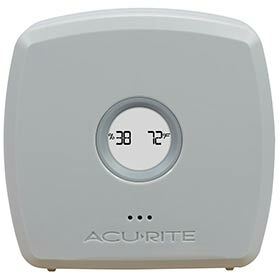 With an AcuRite Spot Check Temperature & Humidity Sensor you can monitor a wide range of environments, providing many practical applications and giving you the information you need to take action. 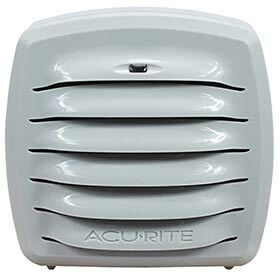 Setup is simple, the Wired Sensor plugs into either a Room Monitor or an Outdoor Temperature & Humidity Monitor (required; sold separately). Then, position the probe in the location where you want to measure temperature and humidity. To install on glass you can use the included suction cup and mounting bracket. For a permanent installation in wood, concrete, or other building materials, use the included anchors and screws. Zip ties are also included to further expand mounting options.